L, M and I decided that it would be worthy adventure to make a turducken. You can see pictures of the process below. 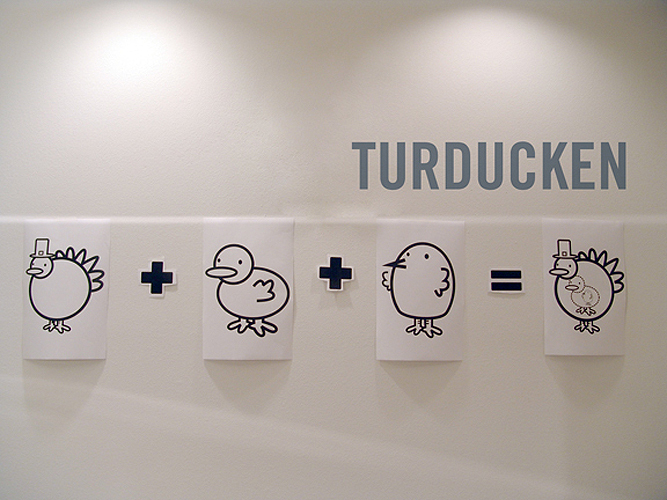 turducken What a project! We got together the night before to prep the beast, and then I woke up at 5 the next morning to pop it into the oven. 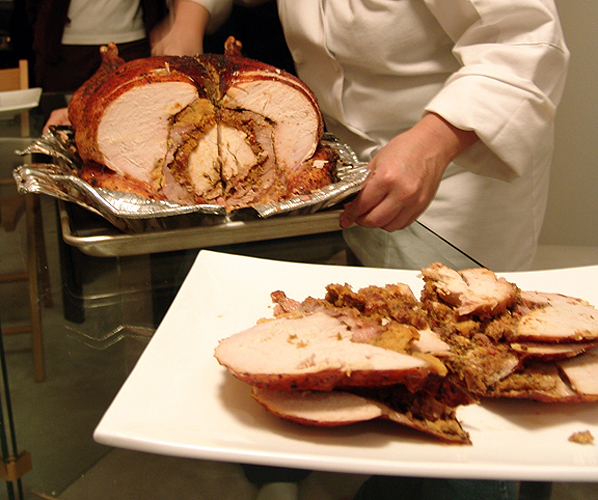 Unfortunately, turducken mostly tastes like turkey, but I'll have to say that the stuffings were pretty awesome. 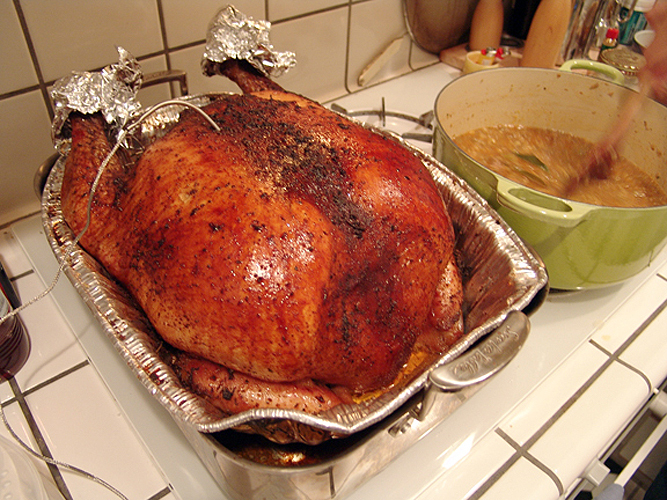 I think if I were to do it again (highly unlikely), I'd brine the turkey first.